We are one of the largest independent family run bathroom & kitchen centres in East Anglia. Our commitment to offering first class service, quality workmanship & materials combined with genuine advice and attention to detail, are the most important ingredients in our continued success. Our two storey showroom is one of the largest in the area with extensive kitchen displays and a huge range of appliances and worksurfaces from virtually every manufacturer. We have a large display of showers & bathrooms including accessories & tiles, most are in room-set layouts to make choosing easier. 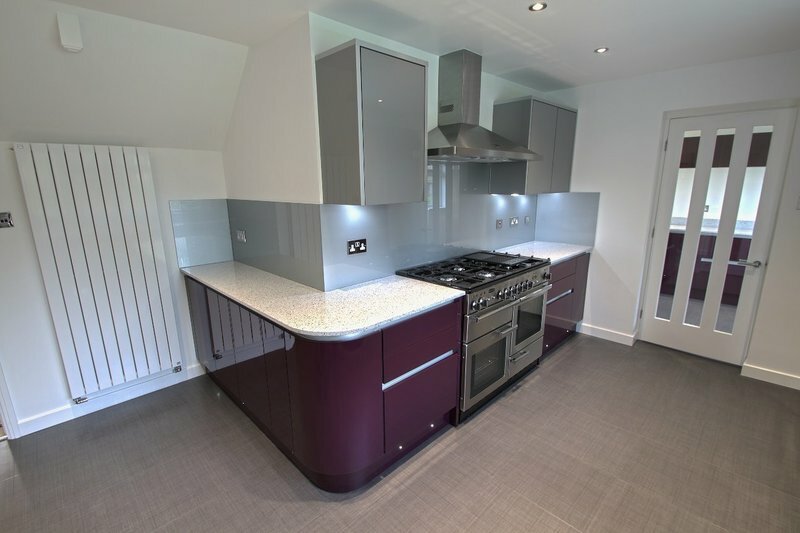 CAD design services are available and we offer competitive supply only or a complete installation service using our own in-house fitting teams, taking care of everything including building alterations, carpentry, plumbing, electrics, plastering, decorating, tiling, and flooring. Every project is personally supervised to ensure the end result is as the customer expected and that it meets our stringent quality standards. Just a short note to say a huge thank you for the excellent service we received from you and for all the effort & time you put in to ensure our project ran smoothly and on time. The result is a stunning, modern en-suite that we couldn’t be happier with. All the workers involved were both competent and totally reliable and Lee in particular was a total perfectionist from start to finish. He even ended each day with a sparkling clean-up job prior to leaving. The attention to detail throughout the whole project was second to none, and we wouldn’t hesitate to recommend your company. We approached Atlantic along with two other companies to design and price for a new kitchen as part of a larger renovation project, but it was soon very obvious that Atlantic were the company for us. Atlantic is superb. The knowledge and attention to detail are second to none and despite our numerous changes to both the designs and plans over the course of our project, he was extremely patient and always happy to help us come up with the best solution. 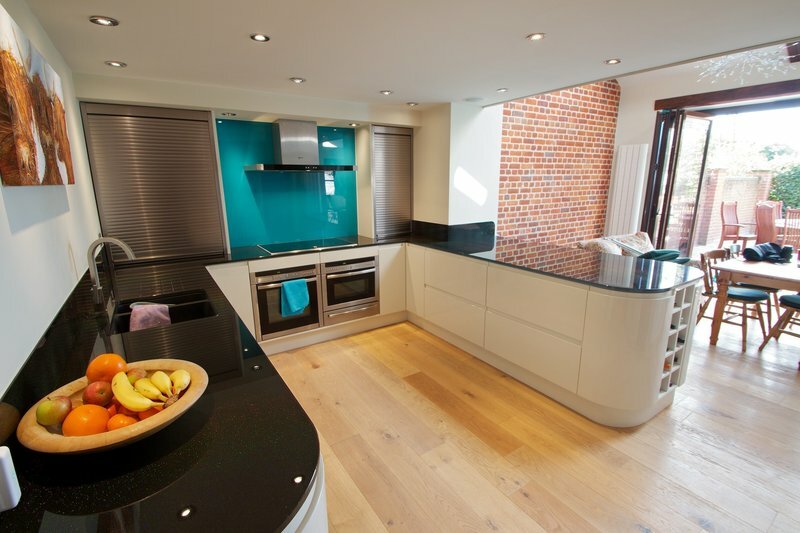 They also worked hard to bring the price of the kitchen within budget without compromising on design or quality. What we have ended up with is the most beautiful, high quality kitchen that has exceeded all of our expectations and we can't thank them enough for all of his help and hard work to bring it all together. Would we recommend Atlantic? Absolutely and without hesitation. Their customer service and the quality of their work is what sets them apart. If we had to do it again, we wouldn't think of going anywhere else. We came back to Atlantic as a result of using them several years ago for a bathroom. The showroom has undergone a major refurbishment and is extremely impressive. When we walked into the showroom we were greeted very pleasantly and offered help and assistance, without feeling under any pressure. We were drawn to a contemporary, yet - rustic kitchen display, and whilst we loved the finish, we were a little concerned about it being a touch too dark for us. We were shown various options and ultimately settled on an alternative which had all of the appeal of the first door, but was a few shades lighter - perfect! We arranged a site visit with Lewis, (who ultimately handled our entire project), he visited our home and explained the process, looked at the current room and listened very carefully to our requirements (this last point was very important, as we had two other companies come to see us, neither of which actually listened to us). During our various meetings we enthused to Lewis that we wanted top-quality workmanship. This was extremely important to us, as we had experienced poor workmanship in the past. Lewis & his team listened, gave us constructive advice and ultimately delivered us exactly what we wanted. Having now been through the process with Atlantic we cannot find fault in anything. We have high standards, and Atlantic not only matched, but exceeded our expectations. We are absolutely thrilled with our newly refurbished kitchen and we can't thank Atlantic enough. We used Atlantic two years ago to fit a new kitchen and were thrilled with the result, so when we decided to refit the utility room we had no hesitation in using them again. They came up with an ingenious design for an awkward room. The work was carried out as quickly as possible (there was only room for one tradesman at a time in the room) and to an exemplary standard. All the tradesmen were courteous, pleasant and highly skilled, always turned up on time or let us know if there was to be a delay, and always left everything neat and tidy at the end of the day. We will not hesitate to use this company again. They may not be the cheapest option but are far and away the best which makes them value for money. Atlantic – A very professional operation using trusted tradesman to provide faultless workmanship resulting in a high-quality result! Atlantic was recommended to me by friends who had used them to refurbish their own kitchen. 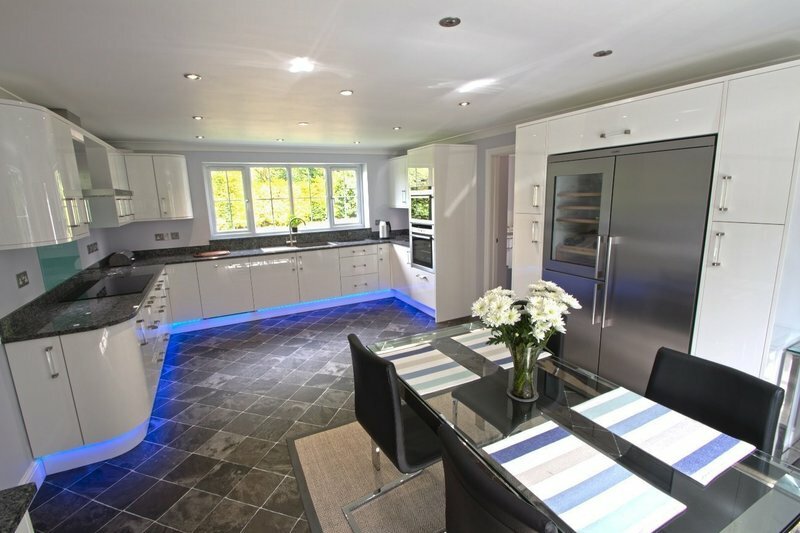 From the initial approach to Atlantic to the end of the project of having a new kitchen fitted I have been impressed by the professionalism, workmanship and attention to detail adopted throughout the whole process. At the design stage Atlantic provided expert advice and suggestions and worked in partnership with me to provide a kitchen that would work for me and would be within my own budgetary constraints. Computer graphics of how my kitchen would look and a schedule of works of what work was required were prepared; and, once the design was agreed a date was set for when the work would begin. Atlantic uses trusted tradesmen all of whom are experts in their own disciplines. All the workmen arrived when they were supposed to, were very friendly and kept me up to date on how their particular job was progressing. I was impressed by the exacting standards used by the workmen and their eye for detail. Overall, I cannot find fault with any part of the work carried out and I would very highly recommend Atlantic and their workman to anyone. Thank you to everyone at Atlantic for all of your hard work in providing a kitchen that is such a joy to work in. Went to great lengths to accommodate our needs and were flexible in changing layouts as worked progressed. Tradesmen were clean and always cleared up as the work progressed. They were careful to protect carpets etc. in access areas. I cannot rate them too highly and would recommend them to anyone. Having had a new bathroom, ensuite shower room and cloakroom installed to a very high standard by Atlantic about 9 years ago, we didn't think about going anywhere else when we needed a new kitchen and utility. Lewis led us through the whole process with great expertise, and patience - he needed it! We had a complete renovation and Lewis even managed to introduce us to a heating engineer and arrange for an entirely new heating system to be installed within the allotted time slot, impressive. All of the tradesmen were extremely professional, there was no time wasting, as soon as they arrived they got on with the job - heating engineers, plasterers, tiler, electricians were all very caring and considerate. Special mention must go to Andy the meticulous fitter. We now have a sparkling new kitchen and utility room with no tricky nooks and crannies to clean - exactly what we wanted and a pleasure to use. Complete refurbishment and refitting of bathroom in Listed cottage including new fittings, wall and floor finishes.